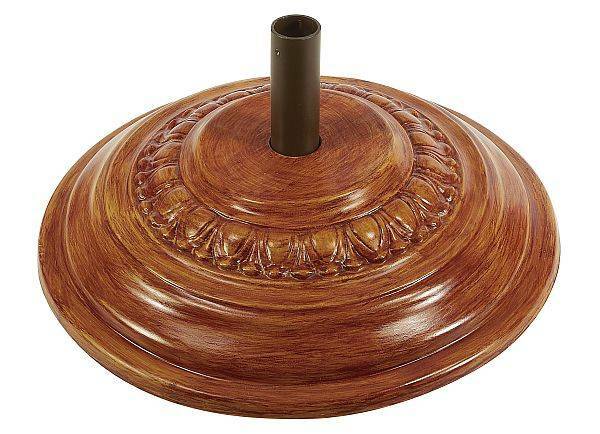 This scuff resistant Fiberglass Umbrella Base makes an attractive addition to any patio or deck. To provide maximum support for a free standing umbrella, filling this base with concrete is recommended. 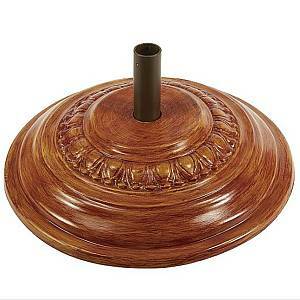 This lovely base can also be used with a patio umbrella table. Refer to the charts below to find the appropriate size base for your situation. The weight of each base listed below is the weight after it has been filled with the concrete. This base CANNOT be filled with sand or water. Available in 5 fabulous colors. Use these helpful instructions when you fill the base. F-Indicates Umbrella can be Freestanding. T- Indicates that Umbrella must be inserted into a table. NOTE: Base can not be filled with sand or water.